Imagine that you want me to design something special for you – what would that look like? 1. Well, it would likely start with an ASK – either in the form of a quick conversation, where you say – Hey, can you design … for me? – then, I say – yes, etc. 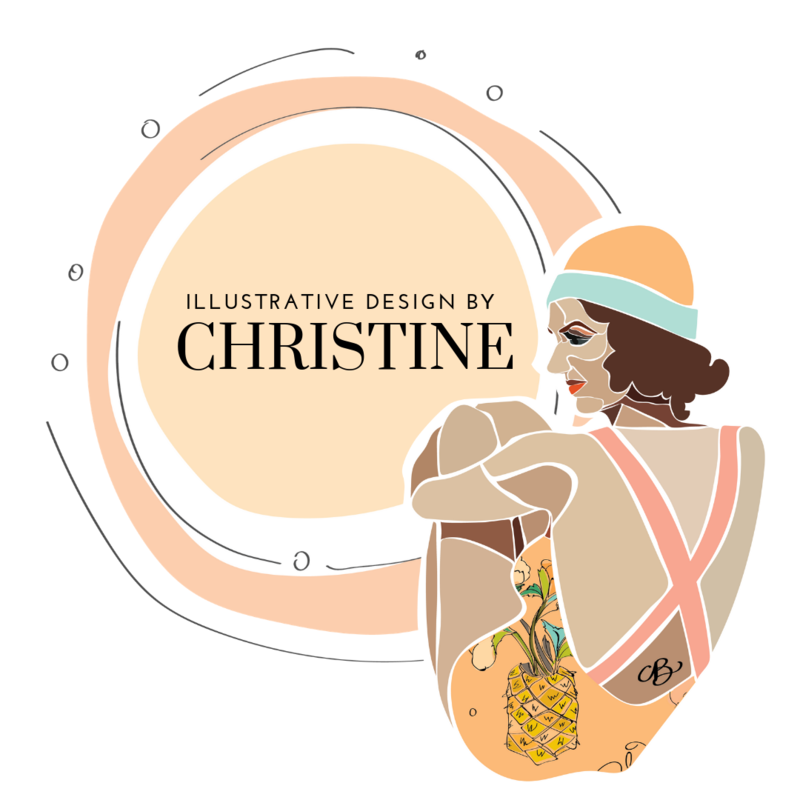 OR a quick email to my new business email at illustrativedesignbychristine@gmail.com letting me know what you are looking for. That would start the process of design, which is where I take notes, do a bit of research on what you are looking for then, present you with some thumbnail sketches to choose from. The entire process is pretty collaborative from the start, with communication throughout each stage to ensure you know what is happening & have a say in the direction of the design. 2. DESIGN PROCESS: My work often begins in my sketchbook, with often several sketches to choose from. 3. Chosen sketch(es) are imported to Adobe Illustrator, where I retrace lines in a fun, bouncy way & add blocks of color in the background (or the preferred style of the commission). Sometimes, I like to make a pattern as well – patterns are fun & easy! 4. After the design process – depending on the project, I will print on linen paper (hello, Red River Paper!) & cut appropriately to size. In a commission, I will have already communicated a pick up date previously or arrange for payment and shipping (step 5). In the original project for my pineapple design & thank you notes, a lady asked if I could design small thank you notes for tipping. I love this idea so much & am going to start carrying them in my Etsy shop!